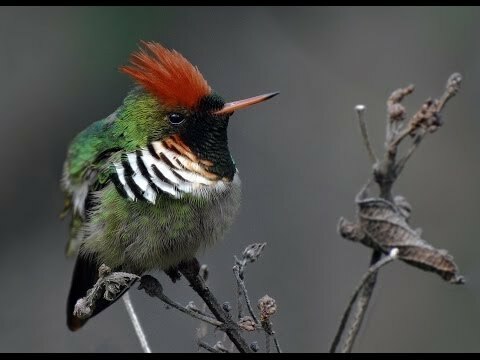 The Frilled Coquette (Lophornis magnificus) is a species of hummingbird in the Trochilidae family. It is found only in Brazil. Its natural habitats are subtropical or tropical moist lowland forests and heavily degraded former forest. At 6.5 to 7 cm (2.6 to 2.8 in) and a weight of 2.1 g (0.074 oz), this is one of the smallest birds alive. Beautiful! I love your birds collection! What a little beauty! Congrats! Great spotting .... Congrts !! Parabéns Aisse. Suas fotos de pássaros são de arrepiar! So cute! He looks so fluffy!!! Congratulations Aisse! It is such fun to see endemic species that don't exist anywhere else. Great picture! Congratulations! Is such a beautiful hummingbird! Congrats Aisse! This gorgeous hummingbird has been selected as Spotting of the Day! Thanks for all the fantastic photo submissions and we look forward to seeing many more.